Manchester-based Glenn Sharp is a professional guitarist who regularly performs solo concerts and provides background music for bars, restaurants, private functions and weddings. Glenn’s repertoire is drawn from flamenco and classical Spanish guitar music, which can range from “gentle” songs which are ideal as background music, to up-tempo flamenco which is more suitable for concert performances. Indeed, as an active session musician, Glenn is highly skilled in all types of guitar, including rock, blues, jazz, classical and flamenco, but he prefers to stick to Spanish guitar music for his function and concert work, although he can play other classical works by prior arrangement. 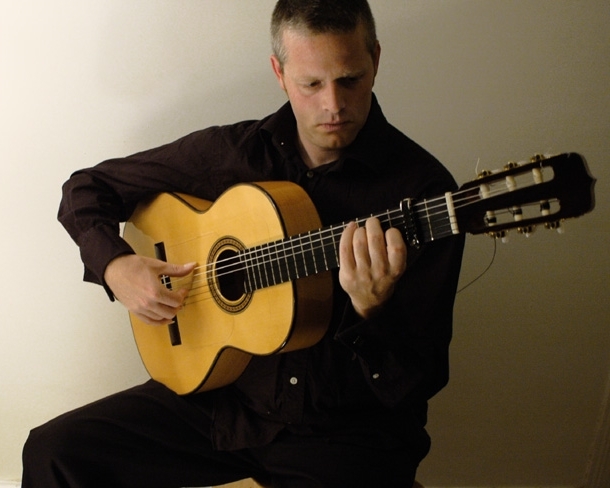 Glenn studied guitar with some of the finest UK tutors including Juan Martin, Steve Gordon (Dartington College of Arts) and Les Bolger (jazz guitar at Salford University). Since finishing his studies, he has been working as a session guitarist and tutor in the Manchester area, as well as touring and recording with many national and international artists. 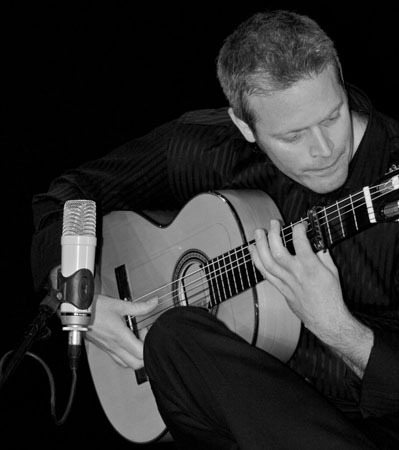 In addition to his solo performances, Glenn is now the guitarist for flamenco dance troupe ‘Candela’ and he works extensively with Latin musicians including his own Latin guitar duo 'Doce Cuerdas'. Corporate clients have included Campari International, Universal Switzerland, the BBC, DSG International plc, Manchester United Ltd, Harvey Nicholls and The Royal College of Nursing; and Glenn has played at prestigious venues including the Warrington Pyramid Arts Centre, Muncaster Castle, Hazlewood Castle and Soughton Hall. Radio performances include XFM and BBC Radio 6 and BBC Radio Lancashire. Glenn usually plays for two hours over a three-hour stay. Glenn Sharp is based in Manchester. See Pricing for details of travel costs, etc.